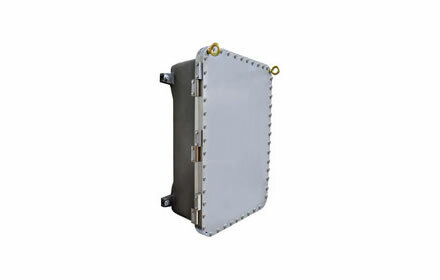 Explosion-proof (also spelled explosionproof) and flameproof enclosures are solidly constructed junction boxes for use in hazardous area locations. They house varying electrical components such as: terminal blocks, switches, transformers, relays and other arching & sparking devices. These boxes are engineered to contain an internal explosion from gases, vapors, dusts and fibers to maintain a safe surrounding atmosphere. They are corrosion resistant and maintain a high tolerance to extreme temperatures. 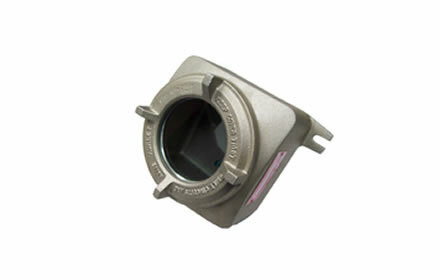 These enclosures are the ideal solution for hazardous locations. Being explosion-proof, they will contain any internal explosions from spreading to the external environment, thus preventing injuries and the damaging of property. Hazardous area explosion-proof and flameproof enclosures are classified into different protection ratings, depending on the location and the level of protection they offer. These ratings are based on the National Electrical Manufacturers Association (NEMA) standards, and also the International standard EN 60529 for Ingress Protection (IP) which indicate the level of protection against electrical hazards like corrosion, dust, rain, splashing & hose-directed water and ice formation. 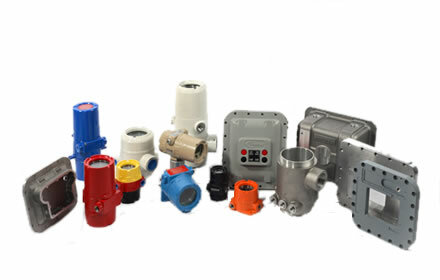 Ex Industries offers a wide selection of sizes of hazardous area enclosures: explosion-proof enclosures and flameproof Exd housings, in both cast aluminum and stainless steel materials. These enclosures are used for packaging controls, monitoring and measuring electrical-electronic components in enclosures for viewing and adjusting arching devices in hazardous environments. 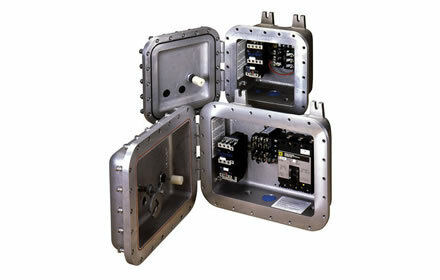 XCE control enclosures are suitable for use in Class I, Groups C & D; Class II, Groups E, F & G applications, NEMA 7,9. Rain-tight, water-tight, NEMA 3, 4 (optional). Designed for use in highly corrosive areas, the cast stainless steel explosion-proof enclosures provide the perfect construction material for offshore, petrochem, or volatile industrial areas where environmental conditions require additional corrosion protection. The XCESX series of cast stainless steel explosion-proof enclosures provide an alternative to traditional cast aluminum explosion-proof enclosures which may become compromised or could break down over time in highly corrosive areas. 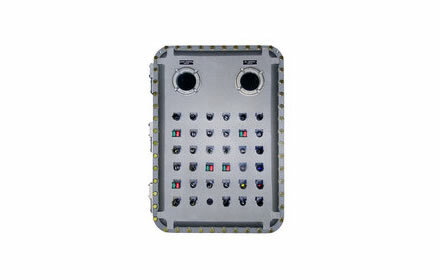 Rated for Class I, Division 1 / Zone 1 hazardous locations, the XCESX enclosure series carries UL, cUL, ATEX, and IECEx approvals for global applications. The Adalet XCPX series ATEX Certified control panels are designed to provide a complete ATEX equipment certificate to final assemblies direct from Adalet without additional third party testing and approvals. 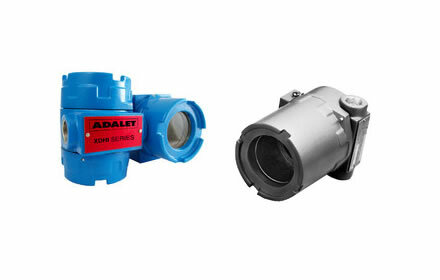 Utilizing ATEX Certified XCEX flameproof control enclosures, Adalet can fully populate our control enclosures with any CE approved device and provide the engineering services required to certify your final assembly as an ATEX control panel with a complete ATEX Euipment Certificate. Various options available. Please consult your EX Industries representative for details.